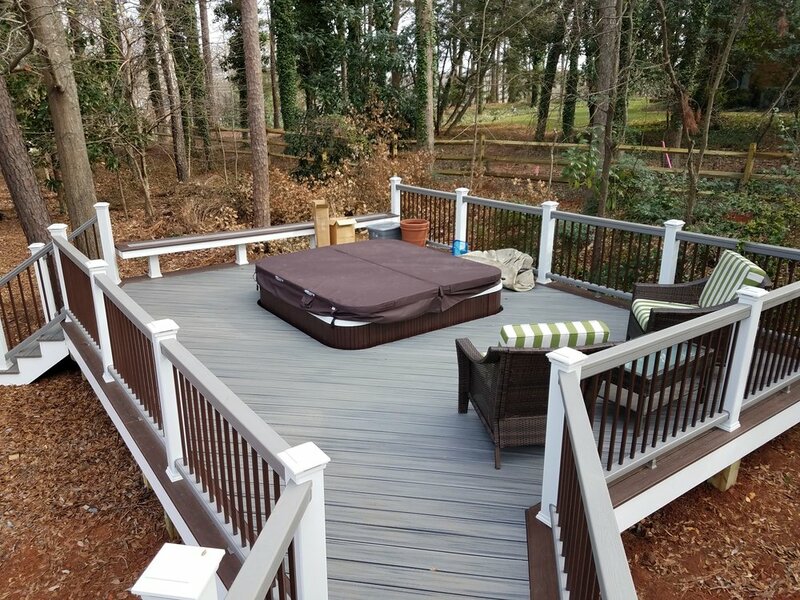 Walk outside onto this beautiful Trex deck and you immediately feel like kicking back and enjoying the serene golf views. 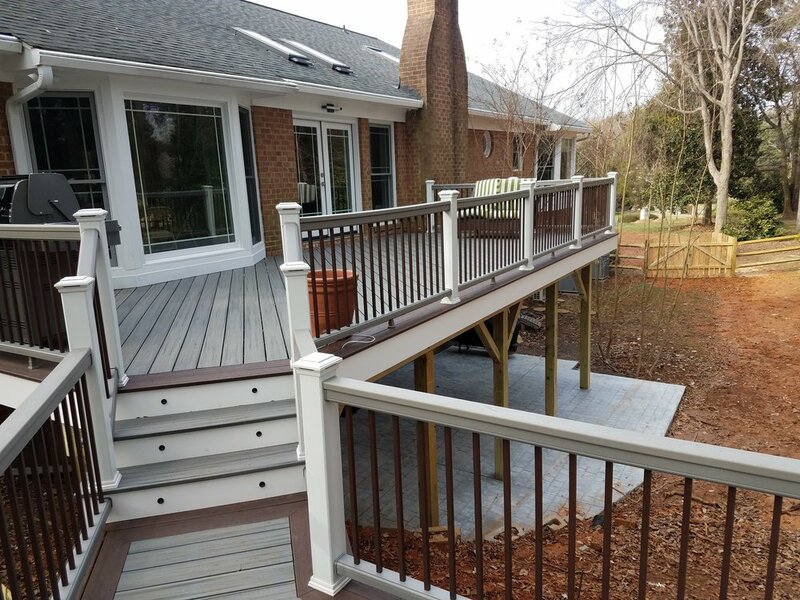 This deck is located in the Carmel Country Club section of Charlotte, NC. 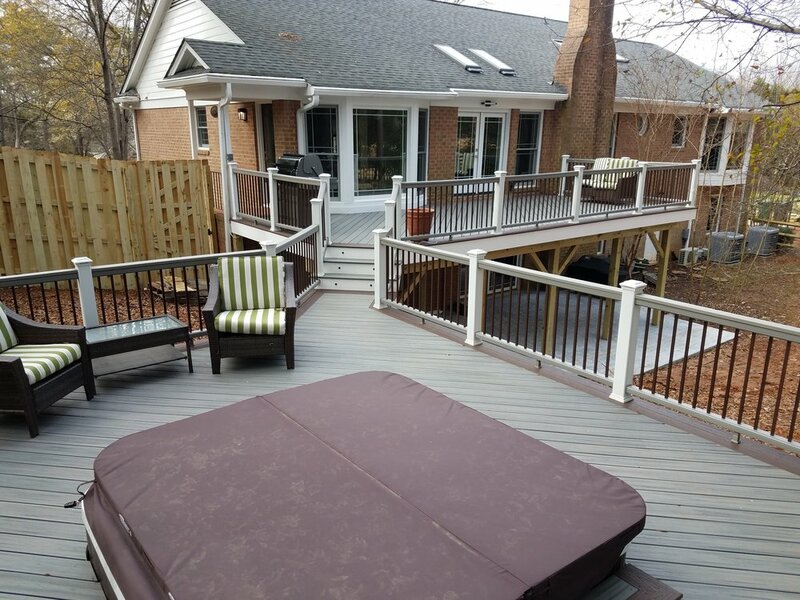 It is a multi level deck with a stamped concrete patio below and a relaxing hot tub on the lower section with benches to relax on. 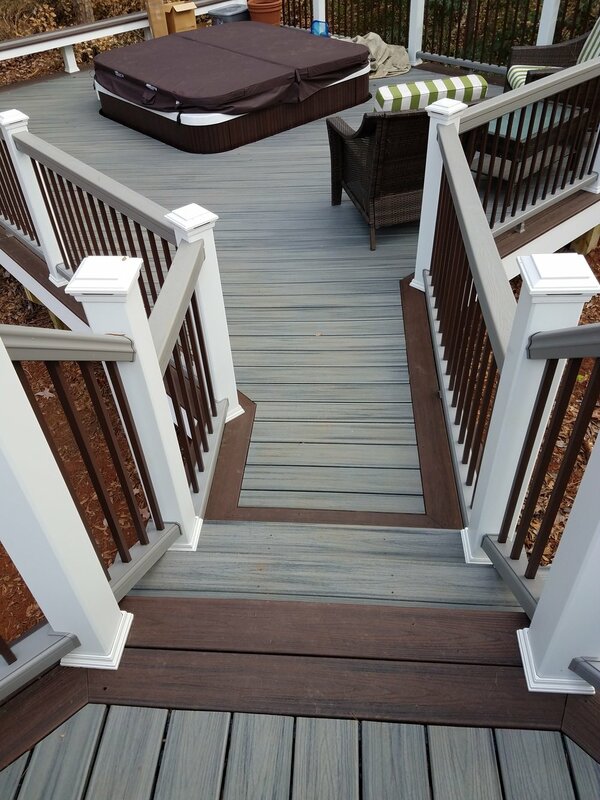 The decking is Trex Transcend Island Mist secured with Trex hidden fasteners along with a double border around the perimeter using Trex Lava Rock deck boards. 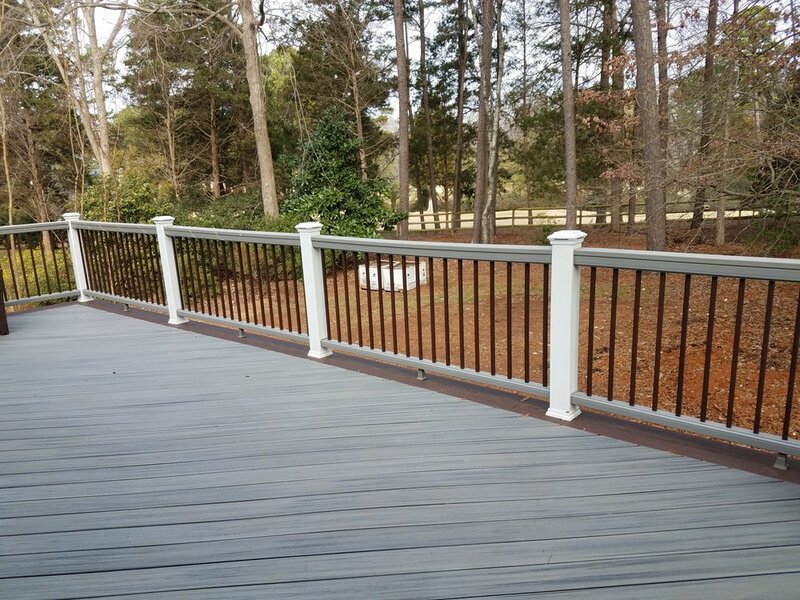 The railing is Trex Transcend post sleeves, caps, skirts in White, rails in Gravel Path and ballusters in square, aluminum in Bronze color. We added Trex riser lights and Trex post cap lights to accent the deck at night. The before and after pictures are stunning. So now the work day is over and its time to enjoy being outside. 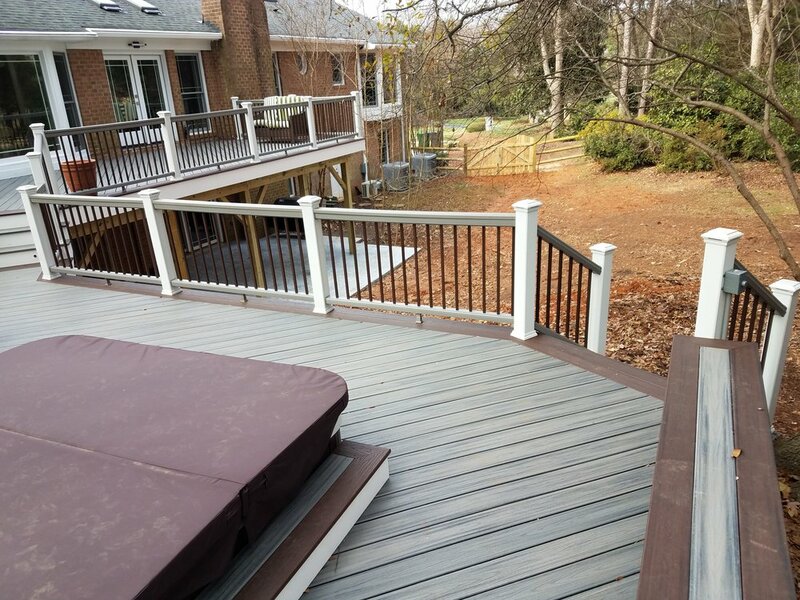 All content and photos are copyright Deckscapes, Inc.